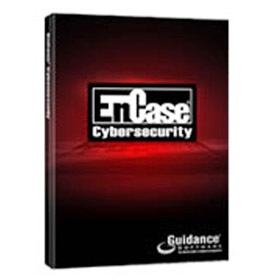 EnCase Cybersecurity is the endpoint incident response and data auditing software solution designed to reduce costs and complexities associated with the incident response process and reduce the risk of exposing sensitive data to loss or theft. EnCase Cybersecurity helps prioritize analysis of potentially infected systems, determine source and scope of an incident, identify potential data loss scenarios and minimize time to remediation. When integrated with the alerting or event management solution of your choice, the power of EnCase Cybersecurity shines — the moment an alert or event is generated, real-time response automatically captures critical endpoint information before it has a chance to decay or disappear altogether — giving you the information you need to quickly and accurately determine what actually happened. The EnCase Cybersecurity Advantage: From the initial investigation through triage to remediation, EnCase Cybersecurity fully addresses endpoint incident response and is the preferred solution for government agencies and leading financial, retail and entertainment organizations Integrates with any security event management or alerting system to enable automated, real-time response, allowing you to capture critical endpoint data the moment an alert is generated, even if it happens at 2 a.m.